Turnstiles, both internal and external, provide a robust and reliable way to manage access on your site. Combined with Auto Mate’s knowledge, quality products and excellent customer service, our experts will help to find the perfect solution that works for you. We offer a variety of different turnstile solutions, alongside a range of access control options to help secure, control and manage your site. Our standard colour options are RAL1021 (Rapeseed Yellow), RAL2000 (Yellow Orange), RAL3020 (Traffic Red), RAL5005 (Signal Blue), RAL5015 (Sky Blue), RAL5017 (Traffic Blue), RAL6005 (Moss Green), RAL9005 (Jet Black) and RAL9010 (Pure White). We can provide these colours, as standard, for no extra cost but we can provide any colour on the RAL colour chart, to meet your requirements. Check out our RAL colour chart page to see all the options and please do not hesitate to contact us for any further details. The standard full height turnstile is one of our most popular units and can be installed both internally and externally. This turnstile has been installed on a whole host of sites, ranging from construction sites to office block receptions, providing unrivalled robustness and proven reliability that our customers demand. 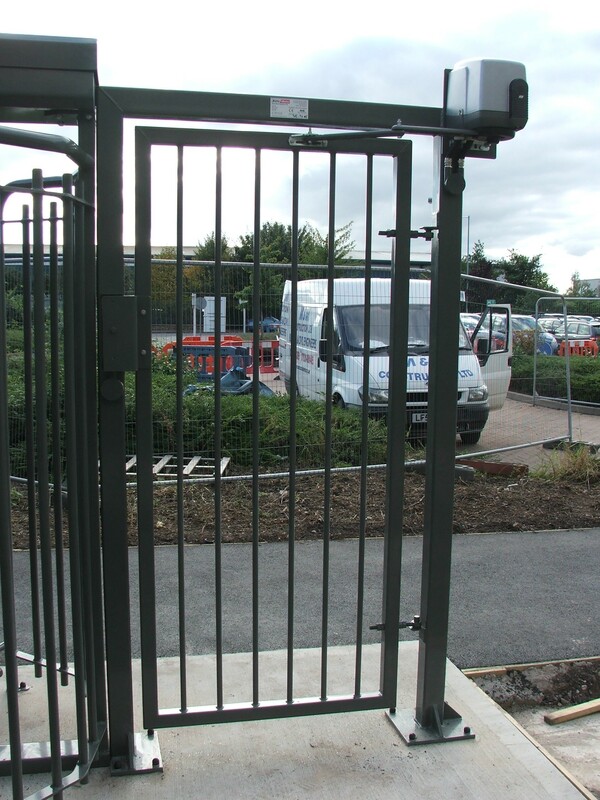 Installed to the highest standards, using quality components and over 20 years of experience, our standard turnstile could provide the perfect solution for securing access to your site. This turnstile is fitted with a 3 arm, 120 degree rotor. This allows pedestrians more space, useful for when a piece of equipment is being carried. The turnstile mechanism can be programmed to be either single or bi-directional and can be linked to release upon an open signal from a fire alarm. The turnstile comes complete with mounting plates for access control card readers or intercoms and can be installed alongside existing or new access control devices. Anti-climb canopies, LED lighting and directional arrows are all available as optional extras that can be devised to suit your needs. Our standard turnstile is made from powder coated mild steel, making it extremely durable, even in the harshest of conditions, requiring very little ongoing maintenance even when performing thousands of operations a day. The turnstile can be either be in a galvanised finish or powder coated in a variety of different colours. When reporting is needed for fire regulations or management need a roll call list of who entered site, when and what time they left, Auto Mate can provide a standard turnstile alongside a PC-based software controlled access system utilising unique proximity cards given to individuals. This individual identification system and anti-pass back facility creates an incredibly secure and reliable access point for your site. These turnstiles can also be installed as a dual lane turnstile, with two installed next to each other, often with one providing entry and one providing exit. Our standard turnstiles are also often installed alongside a DDA pedestrian gate to comply with disability acts. 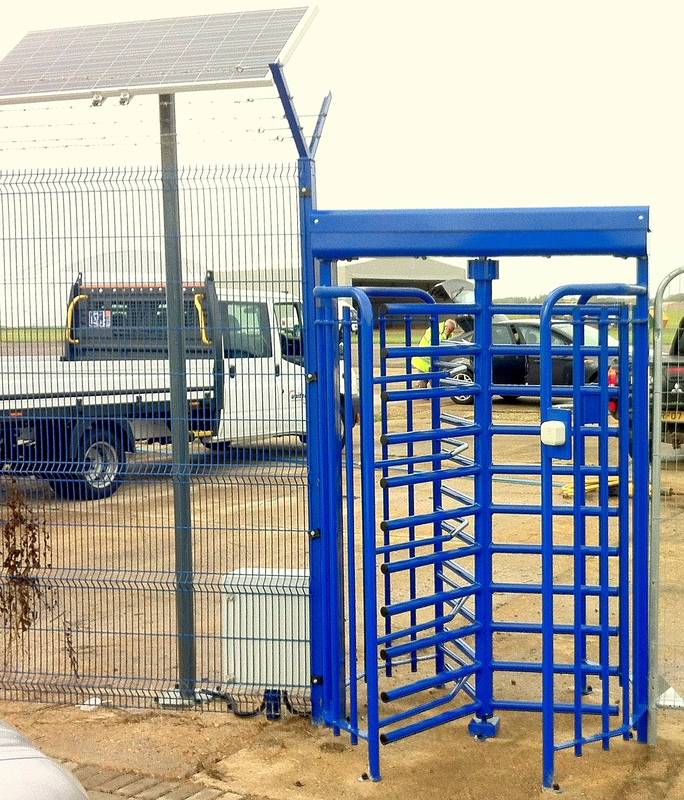 Our standard turnstile is durable, secure and reliable, and is perfect for installation both internally and externally. For more information about how a turnstile can help improve security at your site, call one of our experts today. Auto Mate can provide the perfect bio-metric turnstile for your site. Working with ievo and their industry leading bio-metric readers, each individual visitors thumb print is linked to a system, allowing for quick and easy access. Linked to PC software, each individual is logged on and off site, along with the times they entered and exited, generating both time sheets and a roll call for fire reports. Biometrics are the highest level of security within access control, installed along-side award winning Paxton software and is one of our most reliable and durable turnstiles. 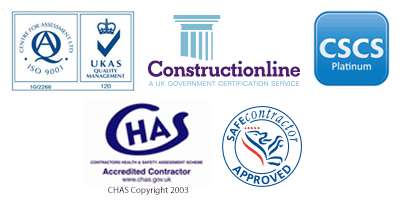 The perfect solution for your site, whether it be a construction site or a reception area. The ievo bio-metric equipment we install is designed to work in the harshest conditions and has been designed to read thumbprints through layers of dust, grease, oil and even through gloves (perfect for those cold winter mornings on construction sites). Gone are the days of unreliable bio-metrics failing to work, even in the mildest of conditions. Auto Mate has installed countless bio-metric turnstile systems for construction and security companies on projects across the UK and can offer the perfect bio-metric package tailored for your sites needs. Many of our clients even choose to move the turnstile system from site to site, proving that our systems are not only extremely durable and reliable, but they also provide great value for money. The DDA pedestrian gate that can either be installed on its own, or alongside another turnstile, that completely conforms to the Discrimination Disability Act. The fully automatic, gas-powered, full height, extra-wide gate, secured with a magnetic locking system offers a great solution when a larger access route is required. As with the turnstiles, a wide variety of access control can be installed alongside this unit, including keypads, proximity card readers, bio-metric systems, timer mechanisms and even audio/video control to provide remote access if required. The DDA gate can be linked to the fire alarm system, or a break glass unit, to allow for a safe and easy exit passage way off site in case of emergency. A recent addition to our turnstile range, the solar powered turnstile. These turnstiles can provide the perfect solution to securing your site when obtaining a power supply to your ideal location is an issue. Installed with a trickle charged unit and a battery back-up, our solar powered turnstile allows for around 500 operations a day, ensuring reliable and constant access. The highly secure solar panels allow for fast-charging of the battery unit to ensure the turnstile is available when you need it. We also offer a range of solar-specific low energy access control equipment to provide maximum efficiency ensuring reliability and durability. For more information about our solar powered turnstiles and securing access when getting power to a location is a problem, call and speak to our experts today on 0800 169 8688. Supply and installation of a fully operational and integrated full height turnstile system.